The BSPS is a highly unique undergraduate degree program that delivers unsurpassed preparation for careers in a variety of biomedical professions. The Pharmaceutical Sciences minor permits students from science or non-science disciplines to learn about drug science in a variety of contexts. 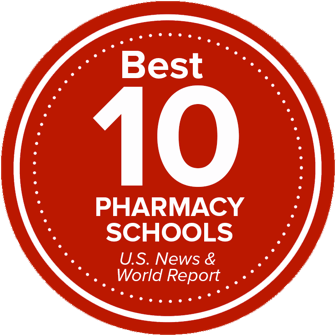 The Ohio State University College of Pharmacy's Doctor of Pharmacy (PharmD) program develops exemplary patient care providers who serve as the responsible medication experts in the healthcare delivery system. The Master of Science in Pharmaceutical Sciences program allows students to specialize in Health-System Pharmacy Administration, educating and training pharmacists to be leaders in pharmacy management. Students can receive a PhD in Pharmaceutical Sciences, developing independent research skills necessary for them to create new knowledge in the field of pharmacy. Completing a residency at Ohio State places students among hundreds of alumni who have obtained the knowledge and skills to practice and lead the profession of pharmacy, both now and in the future. The College of Pharmacy offers two degrees that are entirely online: the Master of Applied Clinical and Preclinical Research (MACPR) Program, and the Master of Science in Pharmacology. We offer pharmacists a wide-array of training opportunities for continuing professional development including online and live training sessions to meet the diverse needs of today’s practitioners.